Geogrids are the geosynthetics of choice for soil reinforcement applications. To evaluate the efficiency of geogrid reinforcement, several methods are used including field tests, laboratory tests and numerical modeling. Field studies consume long period of time and conducting these investigations may become highly expensive because of the need for real-size structures. Laboratory studies present also significant difficulties: large-size testing machines are required to accommodate realistic geogrid designs. The discrete element method (DEM) may be used as a complementary tool to extend physical testing databases at lower cost. Discrete element models do not require complex constitutive formulations and may be fed with particle scale data (size, strength, shape) thus reducing the number of free calibration parameters. Discrete element models also are well suited to problems in which large displacements are present, such as geogrid pullout. 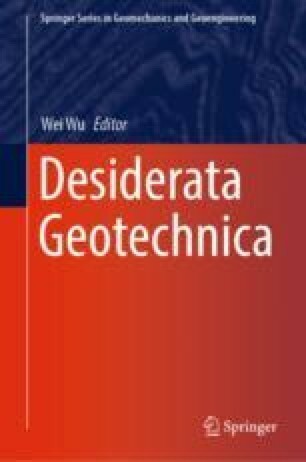 This paper reviews the different approaches followed to model soil-geogrid interaction in DEM and presents preliminary results from pull-out conditions. This work has been supported by the REA of the European Union, through grant 645665 “GEO-RAMP”, H2020-MSCA-RISE-2014.